I am an angry Bangalorean today. 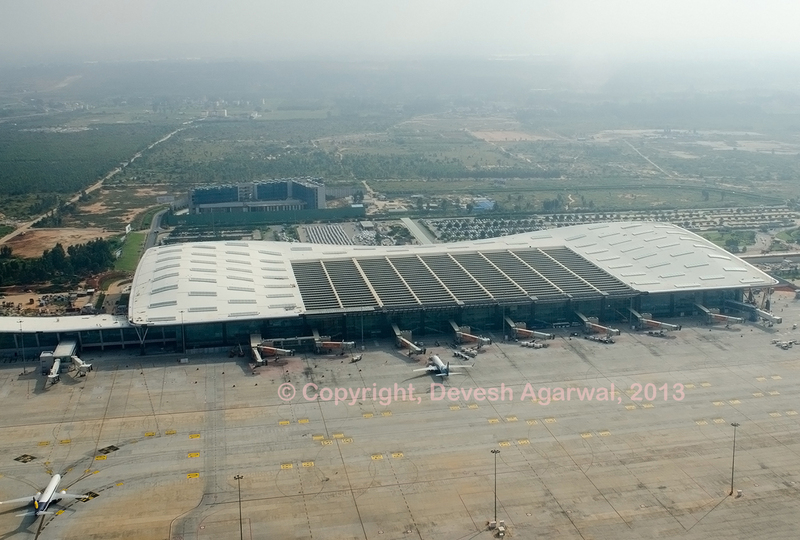 For two months, we have been hearing stories as to how the new Bengaluru International Airport was FULLY ready, and that the Government was denying the BIAL permission to commence operations of its new airport, thus causing untold losses to the consortium. Looking to prevent a repeat of the fiasco following the launch of the Rajiv Gandhi International Airport in Hyderabad, many people and bodies connected with the aviation industry, had advised a planned and incremental approach to commencing full blown operations at the new airport. Commence with international passengers, then move international cargo, and finally domestic passenger and cargo, 6 months later. BIAL refused. They fought and got permission to commence full blown operations; and immediately ran in to, what it described as, “teething problems”. The Times of India story describes other horrors with airport operations. In an earlier article I have posted pictures, taken just 24 hours before start of its operations, of a totally incomplete cargo warehouse. A “high security”, customs bonded, warehouse that was assured to be ready before the original airport opening date of March 30, 2008, two months earlier. The CNN-IBN video shows the total collapse of ground services at BIAL. In the video some guy in a green T-Shirt is manhandling an airline employee. Unlike RGIA, at BIAL, the entire ground handling is TOTALLY CONTROLLED by the BIAL appointed agents. The airlines have ZERO role in ground handling. Yet, airlines are having to bear the brunt of passengers’ ire, since the management of BIAL and its agents’ are nowhere to be found. The ill effects of the BIAL’s agent’s ineptness are having impact well beyond Bangalore. The NavHind Times from Goa has this story of a flight from Bangalore to Goa that landed without the baggage. Yet, they are the ones, out there in the front, without sleep, and without proper food, fire-fighting for their passengers’ basic comforts, on a fiasco, not of their making. Is it any wonder why there are staffing problems already ? BIAL, and their supporters, have been claiming that the airport was FULLY READY since March 30. That was two months ago. Obviously BIAL has not used the two month delay constructively, since crucially required infrastructure, is still 3~6 months away. Imagine our plight, if the airport had opened two months earlier. A simple thing like no water, are not teething problems. Not maintaining bathrooms, are not teething problems. Having an incomplete “high security”, customs bonded, cargo warehouse, when it was guaranteed to be ready 2 months ago, are not teething problems. Not having offices or basic food canteens for airlines’ employees, are not teething problems. These are failures due to sheer un-preparedness. I have said this before. If we do not ensure the proper working condition and comfort, of those who ensure our comfort and safety, the system will collapse. Did BIAL lie to Bangalore when it claimed to be ready for take-off on March 30th ? May be not, but for sure, they did not tell the whole truth. In fact, one service that performed flawlessly, was the Government owned, BMTC’s, Vayu Vajra airport Volvo bus service. We have to stop being BIAL apologists. The BIAL consortium are supposed to be “specialists” with years of experience in airport operations. They are not amateurs, and should be held to higher standards. BIAL management and those of IT’S agents should on scene, taking personal charge, helping and sorting out the problems. Mr. Brunner’s presence at the airport will send the much needed signals to everyone, to shape up. After all this is sorted out, we should BIAL’s hold feet to the fire. They have up till now, shown complete inflexibility, and waved their contract in face of this nation. Now it is time to show them the same treatment. Put together an independent body, comprised of equal representation from BIAL, Government, Airlines, Cargo and Customs Agents, Industry and Passengers. This body will ensure committed delivery dates of infrastructure, and monitor service levels for the first six months. Any slip, and cough up cash, M/s BIAL. This same body can then continue to act like a permanent, independent service monitoring body, armed with penal powers. Obviously BIAL read the pulse of Bangaloreans correctly. We were shown a good looking passenger terminal, and we, as expected, we fell for the “Hawa Mahal”. We just gushed in awe, and did not look beyond the façade. HAL was not comfortable airport by any means, but at least it was functioning one; and in ALL aspects — passengers, cargo and employees. Bangalore has been forced to close this functioning airport, and move to a facility that is far from ready, and obviously not fully functional. All these days, BIAL has been harping on the sanctity of their contract with India. It time we hold BIAL to the sanctity of the unwritten contract, to provide public infrastructure on a FAIR basis, while providing the residents of Bangalore, the TRUE and COMPLETE picture. Right now, this does not appear to be the case.